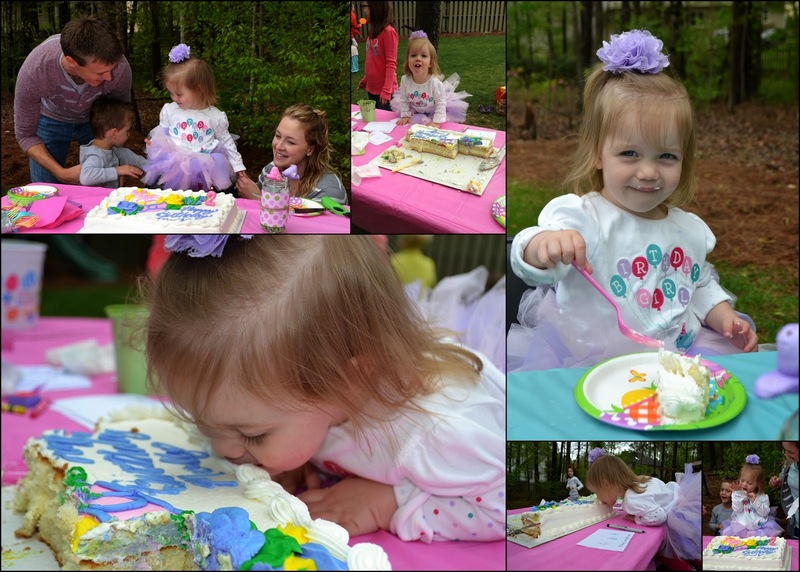 We started with polka dots and a color scheme from Molly's birthday shirt (pictured above, a gift from Grammy! ), and went from there. I made the invites in Pages, and used a scrapbook paper pack, (which has seen us through parties and showers for about 6 years now! ), for the banners. 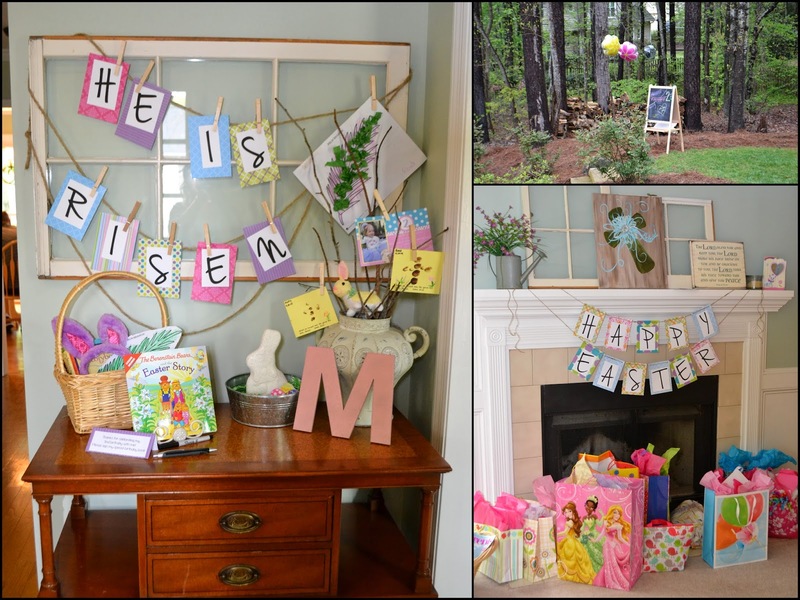 :) We even got to do some early decorating since most of the fun doubled as Easter cheer! Molly greeted some guests as they arrived, and we gave out bunny ears. 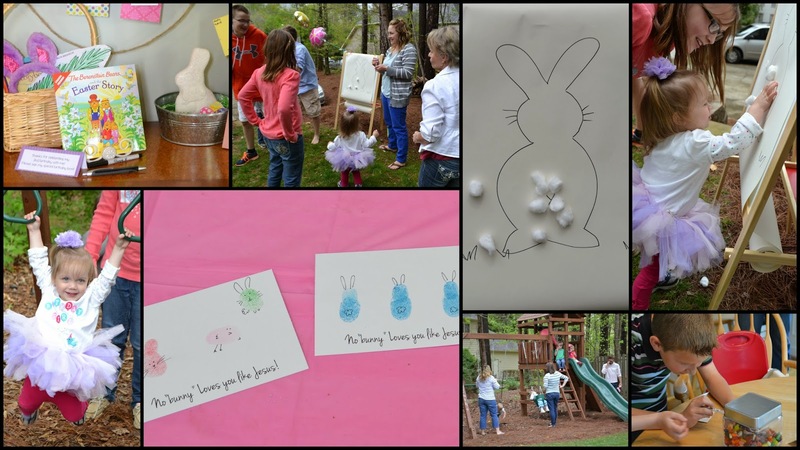 We had some ongoing activities set-up, including a guess-the-jelly-beans jar, Molly's birthday book guest book, fingerprint art and coloring pages, pin the tail on the bunny, and of course, just playing in the yard. 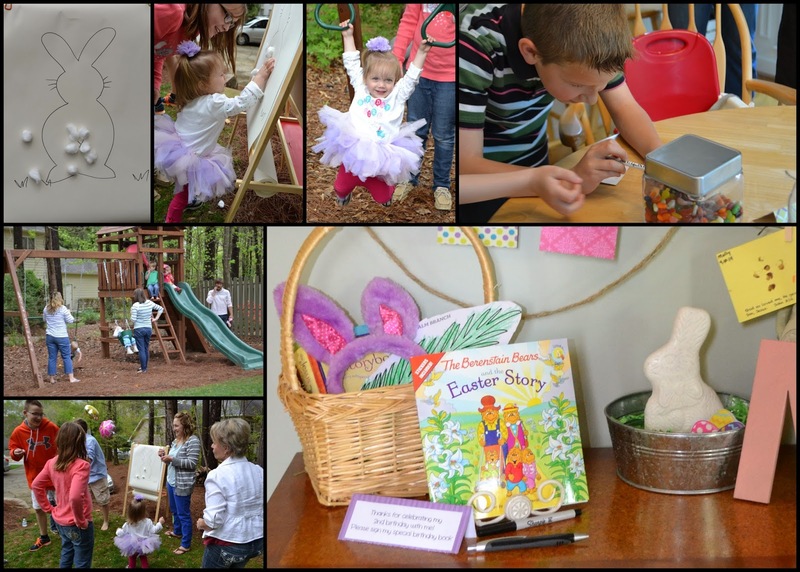 Then we had the Easter egg hunt! 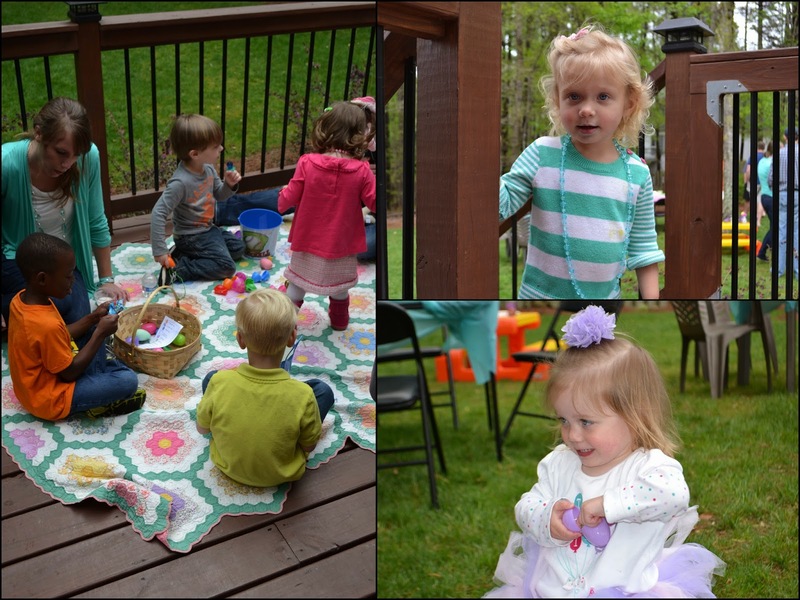 I really wanted the egg hunt to last for a little while and be more of an activity where the kids could help each other (as opposed to just a free for all/grab any eggs you see). 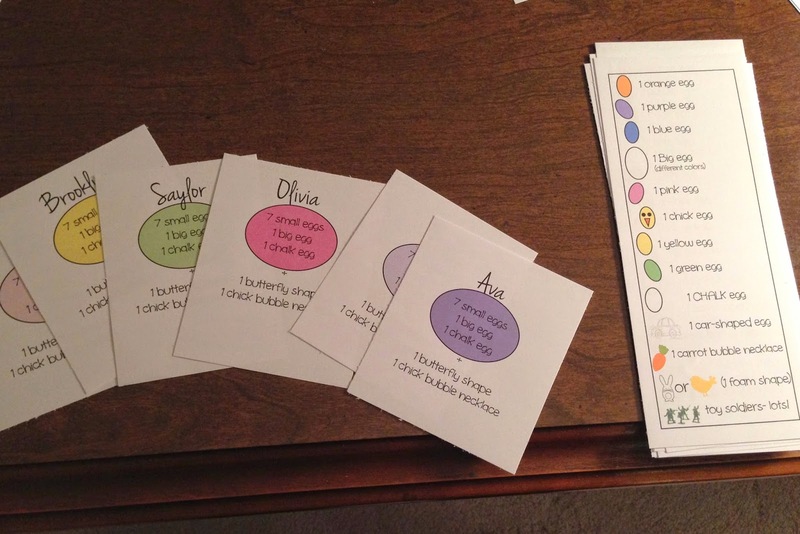 I also wanted to be able to pick out specific prizes and know that each child would get one of everything. 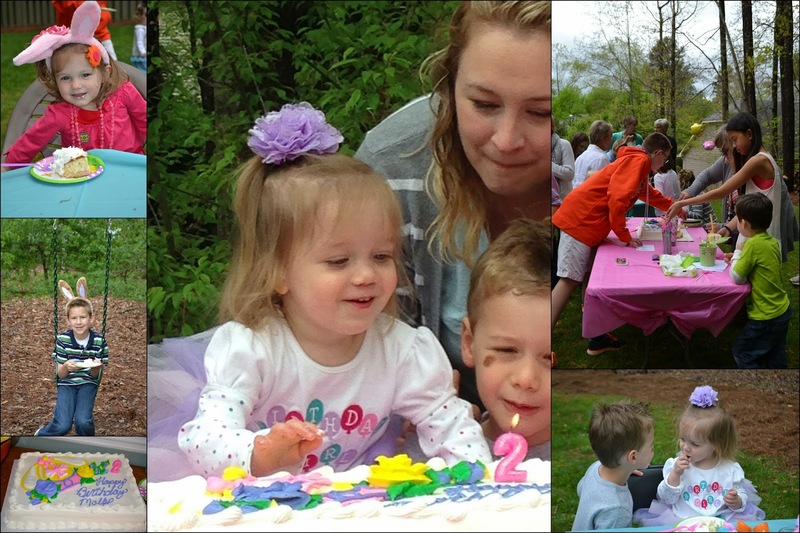 So I planned two separate hunts, one for 2 and under-ish (Molly's little gal pals), and one for the bigger kids (all brothers!). We found all kinds of fun stuffers... necklaces and hair bows for the girls, and ring pops and other snacks/candy of course. 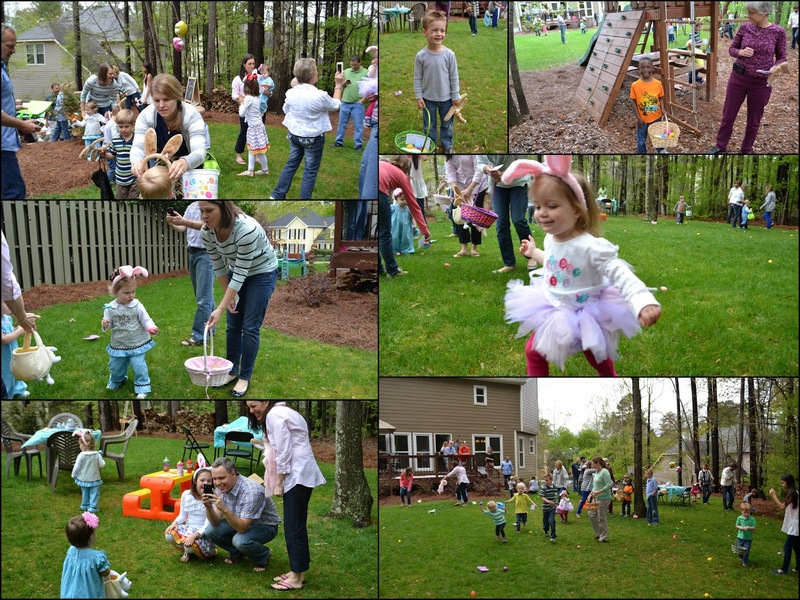 We also hid egg-shaped sidewalk chalk and carrot bubble necklaces, and scattered a hundred camo army men throughout the yard for the boys to find. 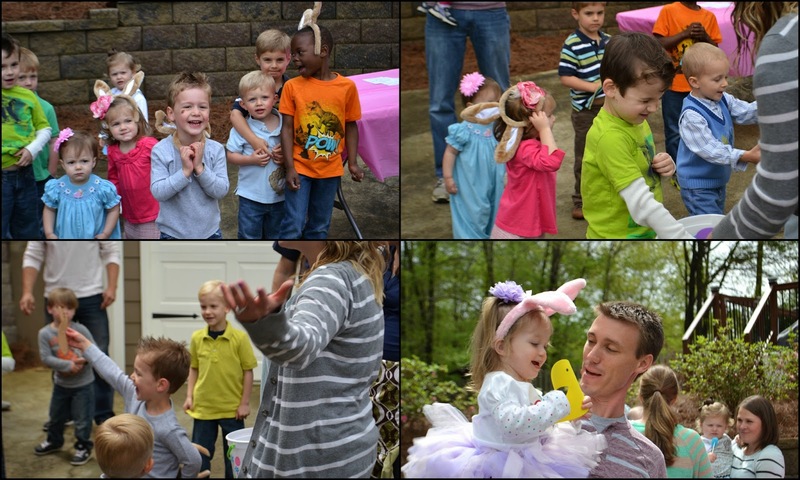 The little girls each had a designated egg color, and the boys had "egg maps" to follow. 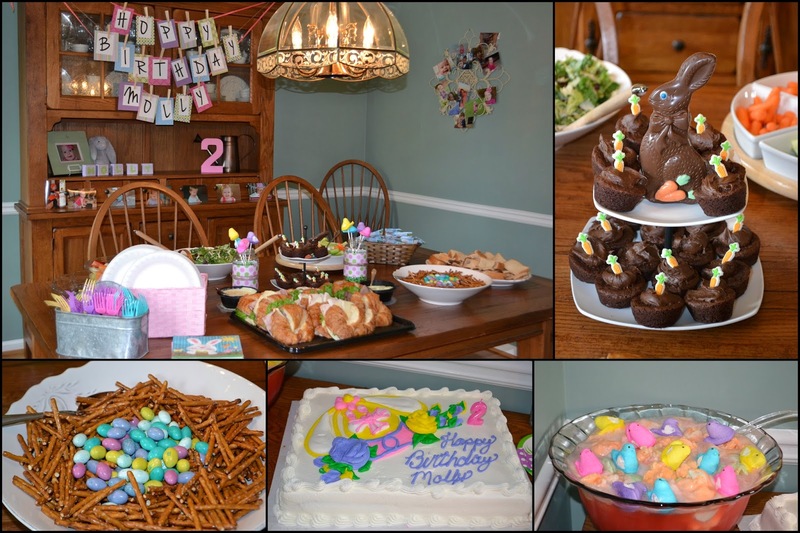 I think it turned out cute, except that I didn't explain well to the bigger kids to separate the boy/girl eggs and had to do some egg recon missions. :) (Note: To replicate this hunt idea, you also have to be on top of your RSVPs or just plan for extras). Last we sang "Happy Birthday," and had cake. 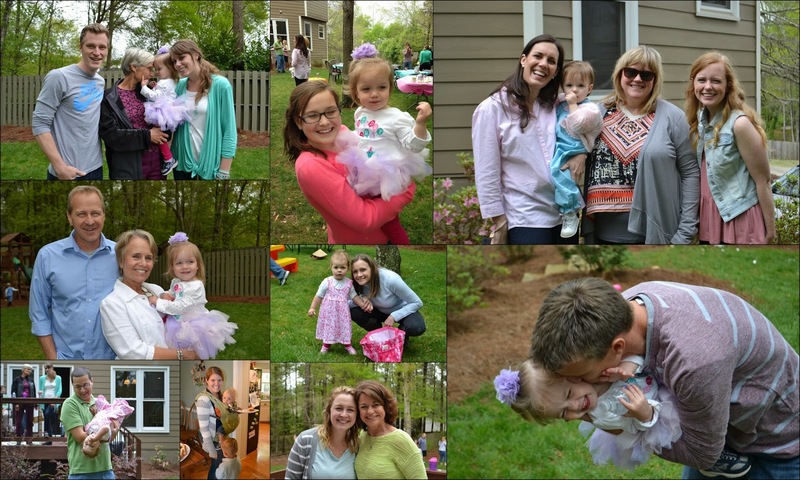 We had so much fun celebrating our little Easter chick with special people who love her and our family well.